Okay, someone is winning major boyfriend points for this sweet birthday message. 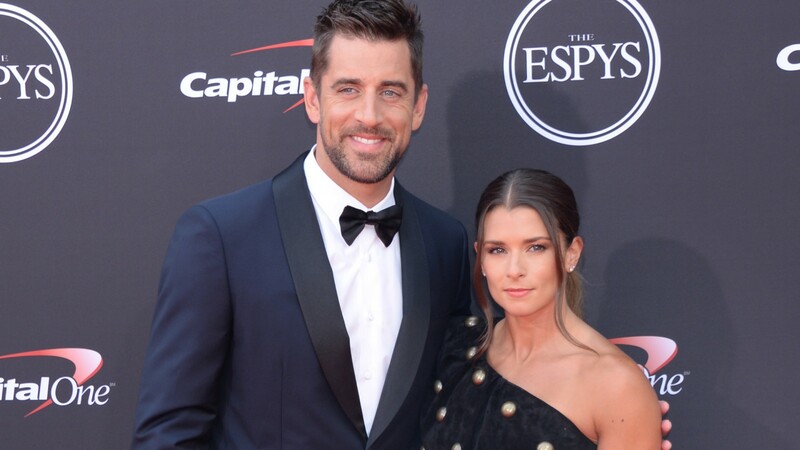 That someone would be NFL quarterback Aaron Rogers, who shared a romantic birthday message for Danica Patrick on March 25. This is the second birthday of Patrick’s that Rogers has gotten to spend with her and if his message for her is any indicator, this birthday is even more special to him than the last one. Rogers took to his Instagram to share a post celebrating Patrick on her 37th birthday with his over a million followers. The touching note showered his girlfriend with love and praise and, if his other followers are anything like us, made everyone swoon in the process. Thanks to Patrick’s post in celebration of her birthday, we also know that Rogers helped plan a group outing with their friends to a winery to celebrate Patrick’s big day. She shared a photo of the group at the winery, revealing the oh-so-romantic moments from her special day. The boys planned an epic trip to the valley for our birthdays! We went to all the best restaurants and winery’s. The. Best. 🙌🏼 But, this group could have fun anywhere! However it was nice pretty fantastic to have some of best food and wine in the world and to be surrounded by these views! ❤️🎂 I love the iconic tree pic from my property. ☺️ @somniumwine @aaron_pott brought about 20 samples to try! The NFL player’s post for his badass partner-in-crime is only the latest in a string of very affectionate messages he has posted on his Instagram since the couple started dating. Normally tight-lipped about his personal life, if Roger’s Instagram is anything to go by he loves to open up when it comes to talking about Patrick. On Valentine’s Day this year, he shared some photos of the couple for the various adventures and wished Patrick a happy Valentine’s Day in the process. These two may not be the celeb couple who packs on the PDA, but boy oh boy, when they do give us a peek into their relationship, it’s hard not to love every second of it.